Despite the arctic conditions, 24 starters set off from The Clifton Hotel, Bristol for Land’s End via Exeter, Bodmin and Penzance for the Bristol MCC’s 24 hour return run to Land’s End. Included among the 12 finishers who completed the 407 mile round trip were the works Douglas solos of Ted Kickham and FG Ball, along with a 4hp outfit driven by Walter Moore. After dragging its feet, the Government’s petroleum department increased petrol rations for motorcyclists: Autocycles and under 250cc motorcycles were now granted two gallons per month in half gallon units and over 250cc motorcycles, outfits and three-wheelers were granted three gallons per month in the form of a single coupon. What drives 5000-plus enthusiasts, travelling on over 2000 solo motorcycles and outfits, to spend a weekend under canvas, in freezing conditions, at the famous Nurburgring in the German Eifel Mountains, for the annual Elephant Rally? In fact, riding to 1964’s Elephant Rally was a breeze in comparison with previous years, just endless torrential rain, and then as the last arrivals pitched their tents, the snow arrived! Tales of derring-do abounded, including a pair of hardy lads from the Conway Club, Lawrie Irving and Tiger Roberts, who experienced a series of punctures by the time they covered the 80 miles to Birmingham. 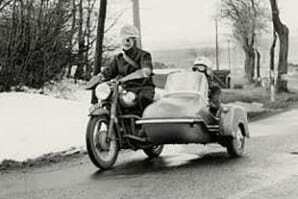 Undaunted, they rang TT sidecarist Fred Hanks at his shop at 3am for a tube for their Norton 650SS outfit. Fred duly obliged. No more drama, until they hit Brussels with Tiger driving, and hit something they did – a lady driver’s car with the sidecar nose trapping Lawrie’s feet. As the expletives rang out the lady uttered ‘I’m so glad you speak English!’ With their sidecar patched up with a sugar bag, they made the Eifel Mountains to join in the fun. 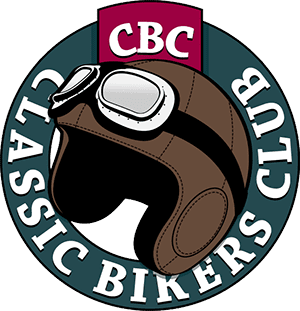 Riders travelled from the four corners of Europe for comradeship and their lap of the famous circuit as part of a two mile long night-time convoy of motorcycles. 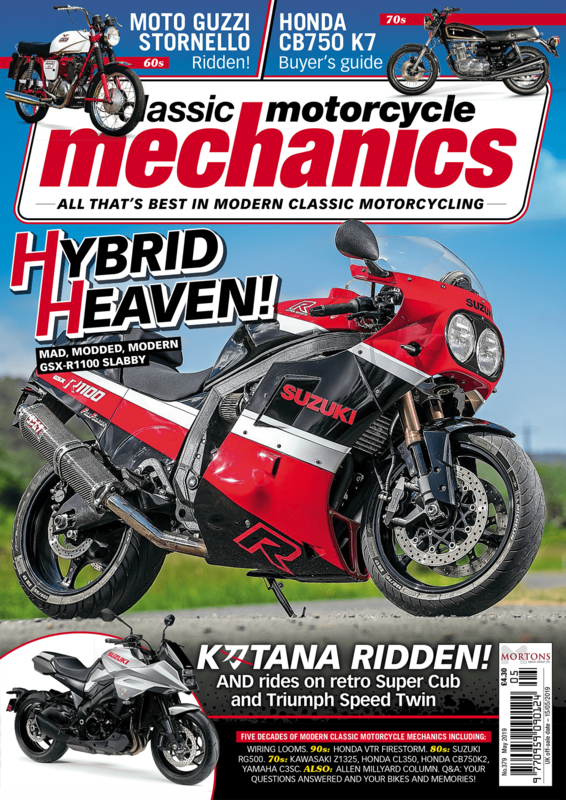 Colin Bembridge, a one-armed motorcyclist, had steered his Ariel Square Four outfit from the UK with, for much of the route, his mate’s machine at the end of a tow rope behind his plot. On Sunday morning, rally entrants set off across Europe for home and another cold ride. Another link with the past ended with the death of Eddie Withers on January 29, 1990. Eddie joined Douglas in 1925 to work alongside Freddie Dixon, Rex Judd and Cyril Pullin. Later, he opened the Douglas shop of Withers of West Norwood Ltd and in 1954 he formed Withers Industrial Trucks in the Midlands to manufacture and market Douglas Industrial Trucks. Previous Post:No Mileage Norton Commando for sale!